President Benigno "Noynoy" Aquino III finally declares this year's national election as a special non-working holiday. The proclamation was confined by presidential spokesperson Abigail Valte through her twitter account. 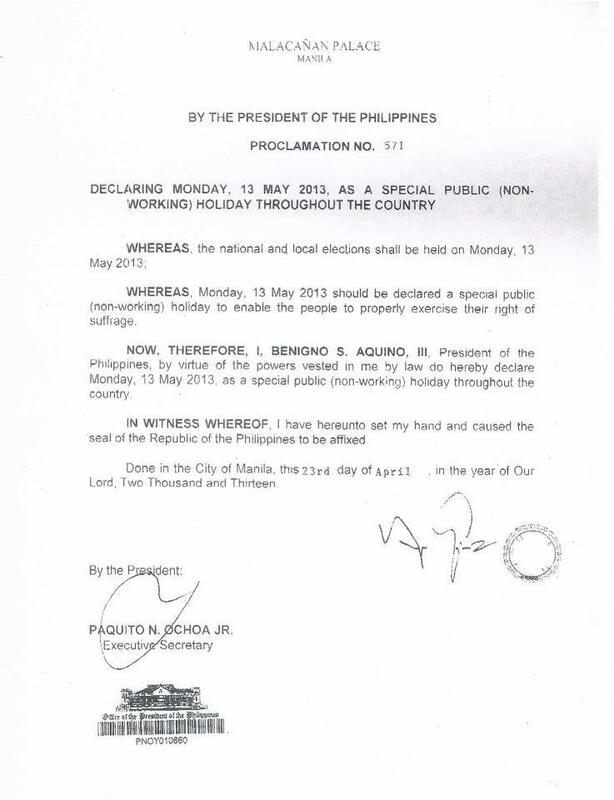 There you have it, May 13 has officially been proclaimed a holiday. This year's national elections will be from Senate seats down to city/town concilors. 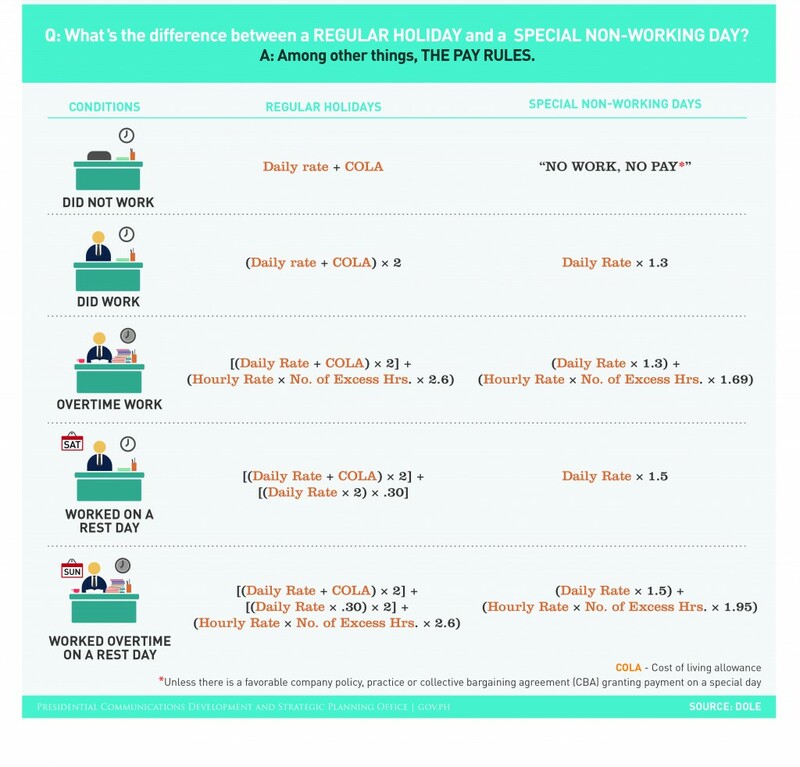 Those who will be required by their employers to work on that day shall receive additional compensation. 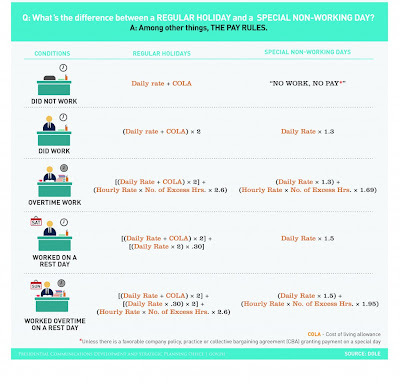 The Department of Labor and Employment (DOLE) publishes specific pay rules whenever there's a non-working holiday. Here's a simple infographic from DOLE.